Authors: Arnone, A., Silva, M.M. 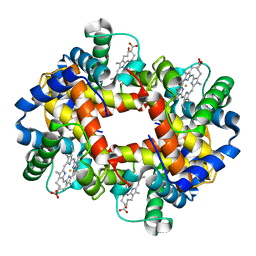 Cite: A third quaternary structure of human hemoglobin A at 1.7-A resolution. Authors: Kavanaugh, J.S., Arnone, A. 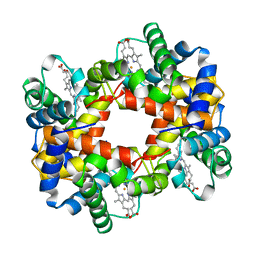 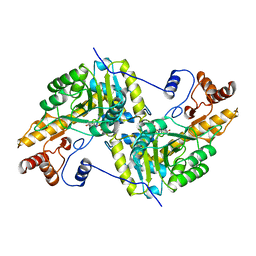 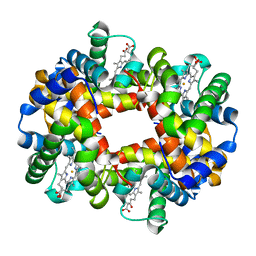 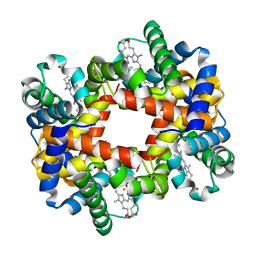 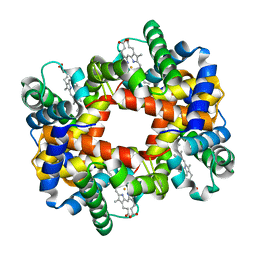 Cite: High-resolution crystal structures of human hemoglobin with mutations at tryptophan 37beta: structural basis for a high-affinity T-state,. Authors: Kavanaugh, J.S., Rogers, P.H., Arnone, A., Hui, H.L., Wierzba, A., DeYoung, A., Kwiatkowski, L.D., Noble, R.W., Juszczak, L.J., Peterson, E.S., Friedman, J.M. 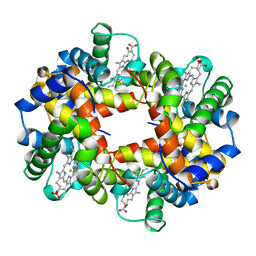 Authors: Rhee, S., Silva, M.M., Hyde, C.C., Rogers, P.H., Metzler, C.M., Metzler, D.E., Arnone, A. 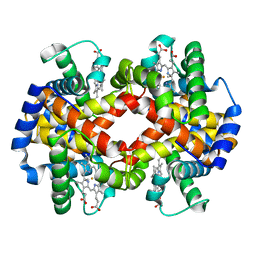 Cite: Refinement and comparisons of the crystal structures of pig cytosolic aspartate aminotransferase and its complex with 2-methylaspartate. Cite: High-resolution X-ray study of deoxyhemoglobin Rothschild 37 beta Trp----Arg: a mutation that creates an intersubunit chloride-binding site. 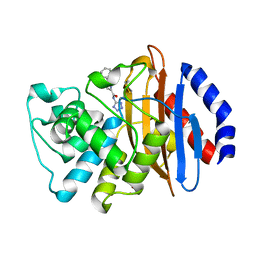 Authors: Chan, N.-L., Kavanaugh, J.S., Rogers, P.H., Arnone, A. Cite: Crystallographic analysis of the interaction of nitric oxide with quaternary-T human hemoglobin. Authors: Kavanaugh, J.S., Rogers, P.H., Arnone, A. 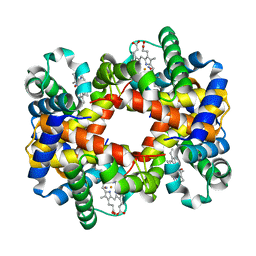 Cite: Crystallographic evidence for a new ensemble of ligand-induced allosteric transitions in hemoglobin: the T-to-T(high) quaternary transitions. Cite: Structural and functional properties of human hemoglobins reassembled after synthesis in Escherichia coli. Cite: High-resolution X-ray study of deoxy recombinant human hemoglobins synthesized from beta-globins having mutated amino termini.